Each one of us have probably owned a pair of Levi's jeans or is probably saving up for a pair! I, for one, had this strange feeling of contentment when I first purchased my pair of Levi's jeans with my first paycheck! March 22, 2012 --- marks World Water Day, Levi's will be celebrating this special day with an environment-consciousness effort to preserve our planet by conserving water! 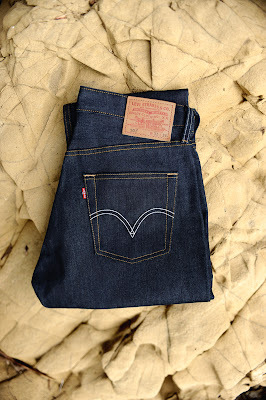 Levi's announced the expansion of its Water (<) Less jeans collection in the Philippines! With the press release that I've read from Levi's, I just realized how much water was used up just for production itself! The average pair of jeans uses 42 liters of water in the finishing process! Levi's Water (<) Less reduce the use of water in the finishing process by up to 96 percent for some styles. The Levi's brand has already made more than 13 million Water (<) Less products and saved more than 172 million liters of water! Enough drinking water for 157,000 people for one year! Let's celebrate World Water Day and applaud Levi's Water (<) Less Day. Like the official Facebook page of Levi's. Follow @LevisPhil on twitter and tweet about the Levi'sWaterLess jeans with hash tag Levis WaterLess Day. (1 Pair of Jeans/hour will be given away starting March 22,2012). I'm still on the saving process for my first pair of Levi's jeans hehe It's so expensive..